This Thursday night matchup should be an interesting AFC West battle as the Broncos head to San Diego and face the Chargers. While these teams are on the opposite ends of the spectrum record wise, don’t let that fool you. The Chargers have been extremely competitive in every game despite countless injuries to key players. Unfortunately for them, they’ve just managed to pull defeat out of the jaws of victory four times. Without Trevor Siemian at the helm this past Sunday, the Broncos offense couldn’t seem to get much going. Fortunately for them he will return this week and have a decent matchup against a banged up Chargers secondary. Both Demaryius Thomas and Emmanuel Sanders are nice fantasy plays in this one, However it is Sanders who seems to be Siemian’s favorite target. With Siemian at the helm, Sanders has had eight more passes thrown his way which can add up in terms of potential production. Aside from a great first impression in week one, C.J. Anderson hasn’t really gotten going through the seasons first five weeks. The schedule doesn’t do him any favors here as the Chargers despite the injuries, have been surprisingly stout in terms of defending the run. Anderson also has some competition for carries to worry about in Devontae Booker. Booker seems to be getting more involved each week, so if Anderson’s play doesn’t pick up soon this could be come a running back by committee situation. 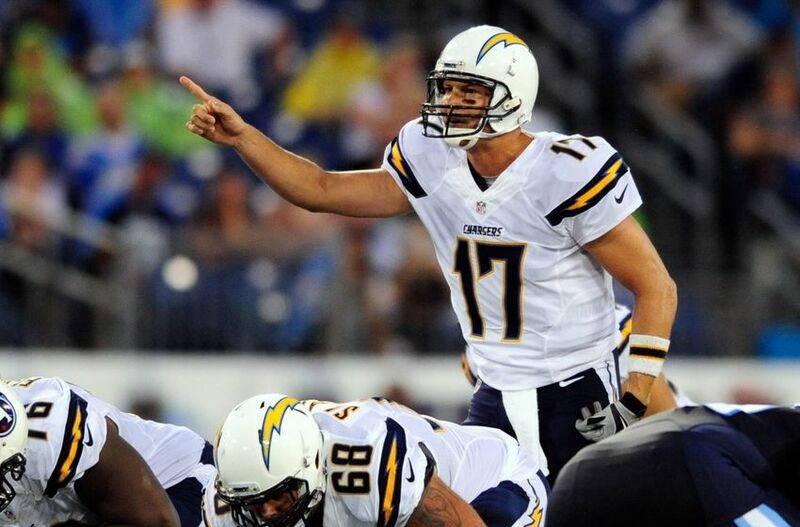 Considering what he’s dealt with the past few years, Philip Rivers is the quarterback equivalent of MacGyver. Not many players would be able to continuously lose their top receivers to injuries and make something out of nothing every year. However, a matchup against the Broncos defense is never one opponents are hoping for. Despite that, there is a chance the Falcons last week found a weakness in the Broncos defense, which would be getting their linebackers into coverage which is much easier said than done. It’s hard to get excited for any receiver facing Denver, but Rivers has some options when he throws the ball tonight. Travis Benjamin has been the Chargers leading wideout since Keenan Allen went down and should still see a decent amount of targets as he moves around in different formations. Other wideouts such as Tyrell Williams, Dontrell Inman along with tight ends Antonio Gates and Hunter Henry are all risky plays in terms of fantasy production. While the Broncos are more vulnerable to the run than years past, this isn’t a great matchup for Melvin Gordon. Despite three straight favorable matchups, Gordon has struggled running the ball of late so it’s tough to peg what to expect of him tonight. The touches will be there as he has dominated the work with Dexter McCluster seeing some occasional touches. The Chargers have shown they can hang with teams, so this matchup I expect should be close. However, with Siemian looking better than many thought he would and the Broncos defense, they’re awfully tough to pick against. My prediction is Broncos 24 Chargers (+3.5) 20. This entry was posted in NFL, Picks against the spread, Week 6 predictions and tagged 2016 predictions, 2016 week six fantasy football predictions, 2016 week six predictions, Antonio Gates, C.J. Anderson, Demaryius Thomas, Denver Broncos, Devontae Booker, Dexter McCluster, Dontrell Inman, Emmanuel Sanders, Hunter Henry, Melvin Gordon, NFL, Philip Rivers, Picks against the spread, San Diego Chargers, Travis Benjamin, Trevor Siemian, Tyrell Williams. Bookmark the permalink.